If you're a fan of high-fashion staple Comme Des Garcons, then you probably know all about their collaboration with Converse. Their collaboration works so well because it is incredibly simple. 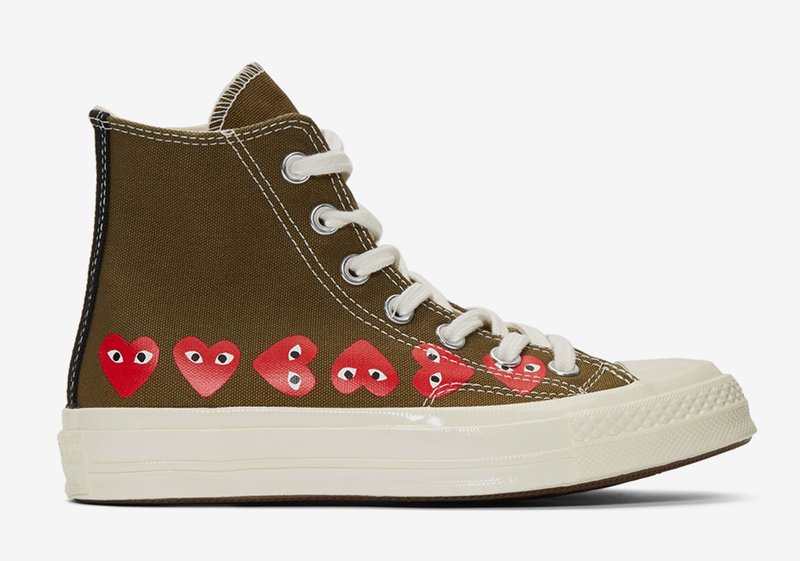 Combine the simplicity of a Chuck Taylor Hi or Low with the simple "heart with eyes" logo from CDG and you got yourself a hit. 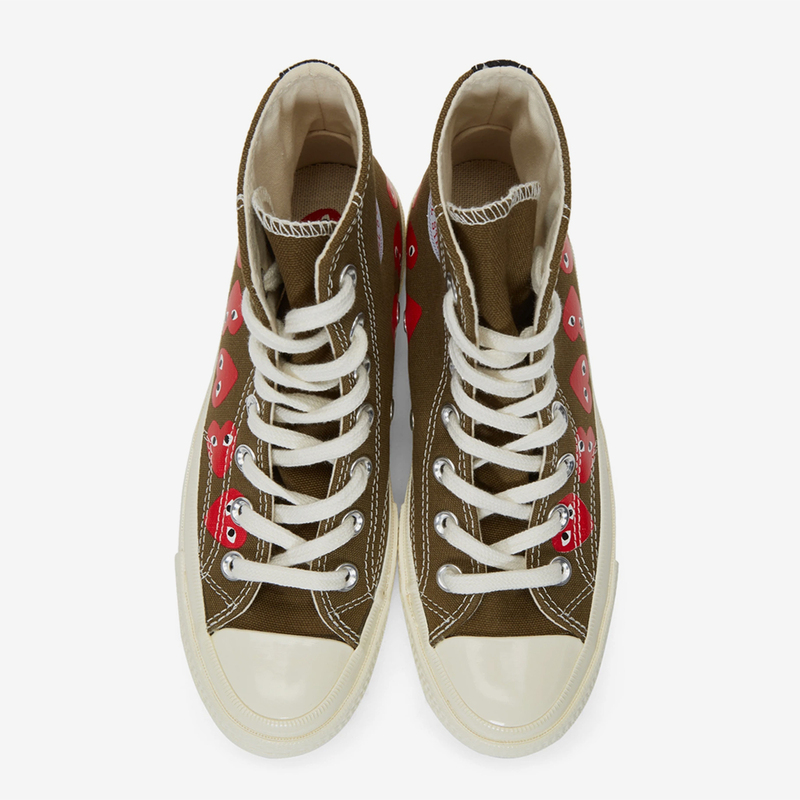 These shoes are also unisex and appeal to a younger demographic of sneakerheads who may have only been introduced to Comme Des Garcons through their work with Converse. Each shoe that has come out so far has sold out instantly with multiple restocks to satisfy those who may have missed out in the past. Now, CDG and Converse are switching things up with a fresh take on the Chuck 70. This time around, the shoe comes in a Khaki canvas upper with a string of CDG logos along the side. It's a more maximalist approach to the standard one logo we usually get, making this shoe look more like a Supreme collab than a CDG one. 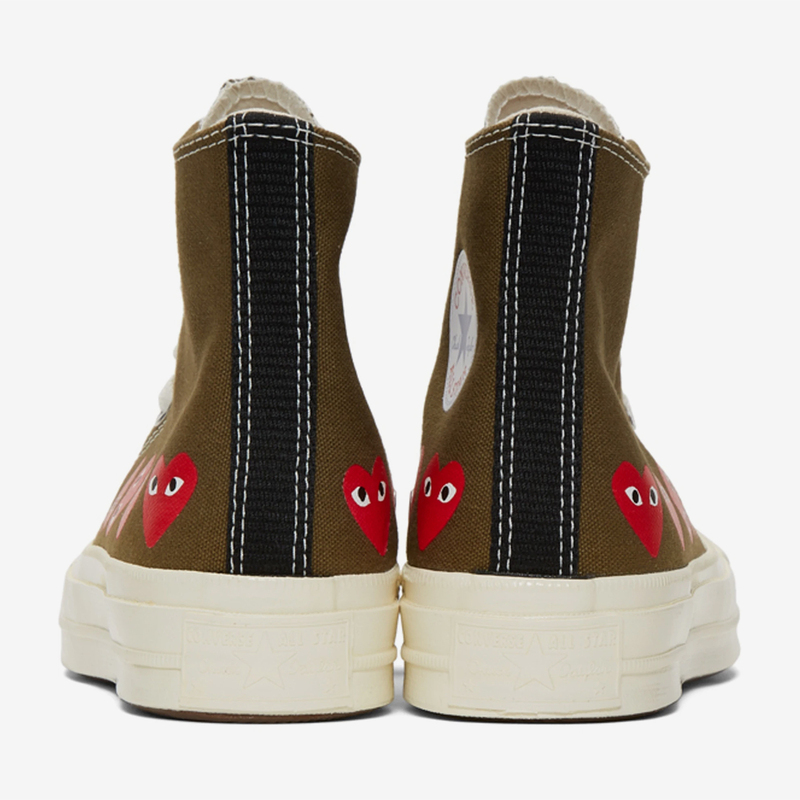 It's definitely a change of pace from what we're used to but CDG x Converse fans will definitely surely like this. There is no concrete release information as of right now but we will be sure to update you as soon as we know more. According to Sneaker News, these will be releasing at retailers such as END, SSENSE, and Nordstrom.